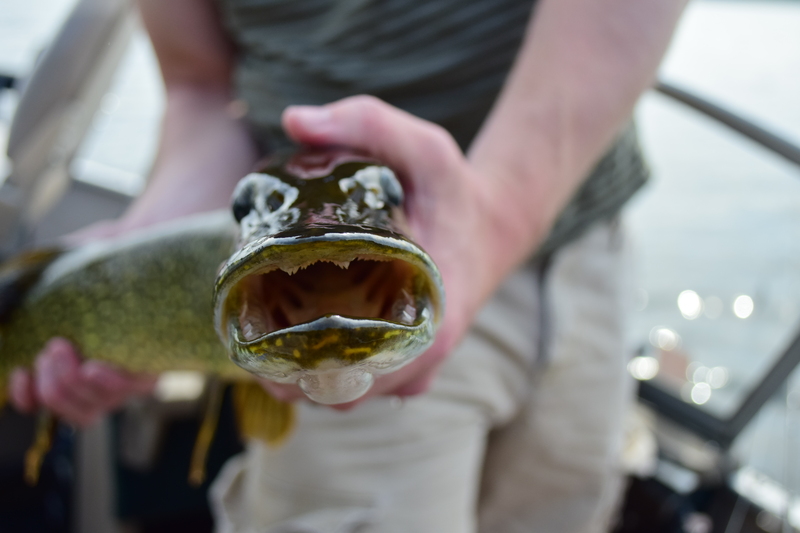 Having been away overseas for the first two weeks of the Walleye and Pike opener in Ontario has left me anxious to get the old Green Machine out for some action. Having finally found some time this past Friday afternoon I was faced with the big decision on where to fish. 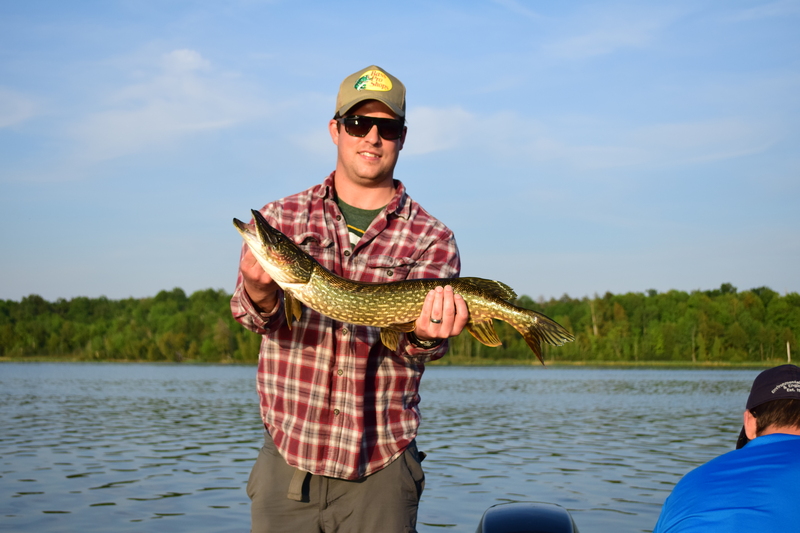 Ive got a long list of lakes to try out including spending more time on Lake Ontario, however, what I really needed was a sure thing for some Pike action. Really just something to scratch the fishing itch and to start the season off with a bang. In my opinion the best way to achieve this is too hit up the closet thing we have in the area to a sure thing for pike: Collins Lake. 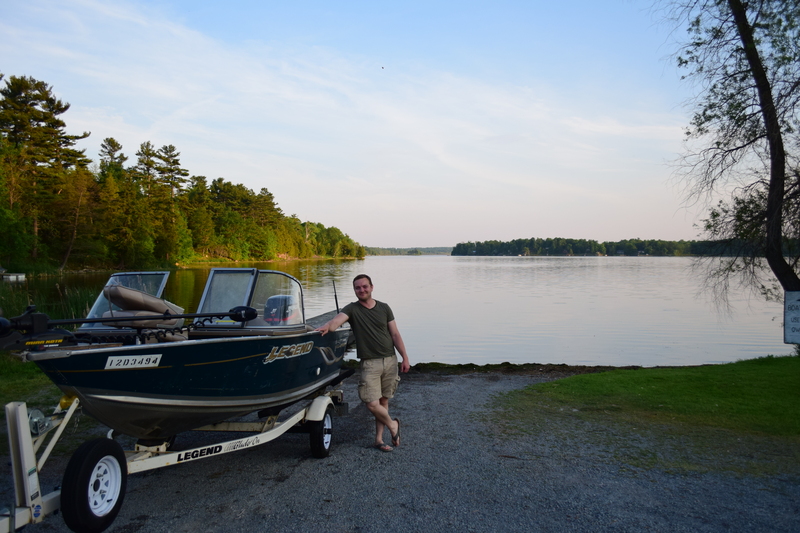 So a couple of guys from the office and I loaded up the boat and made our way to Collins in search of some Esox Lucius. 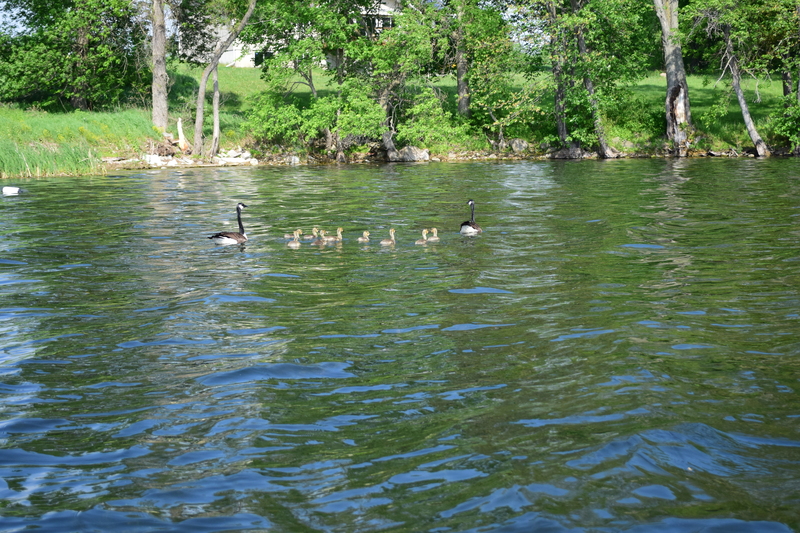 Immediately upon our arrival we were met by a few critters. 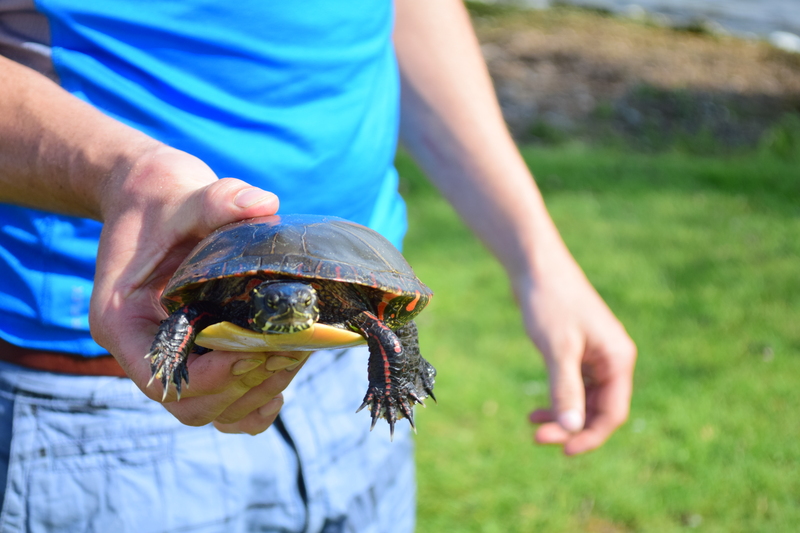 After relocating the turtle to a safer location and letting the Geese get their chicks away from the boat ramp, we launched old Greenie and immediately started a troll line. The north section of Collins is essentially a large basin with depths pushing 30 FOW. The north has so pretty decent drop offs that line the edge of the basin that have healthy weed beds along the slope all the way up to near the shore. These are perfect conditions for trolling crank baits and spoons and after a few moments, our game plan paid off. 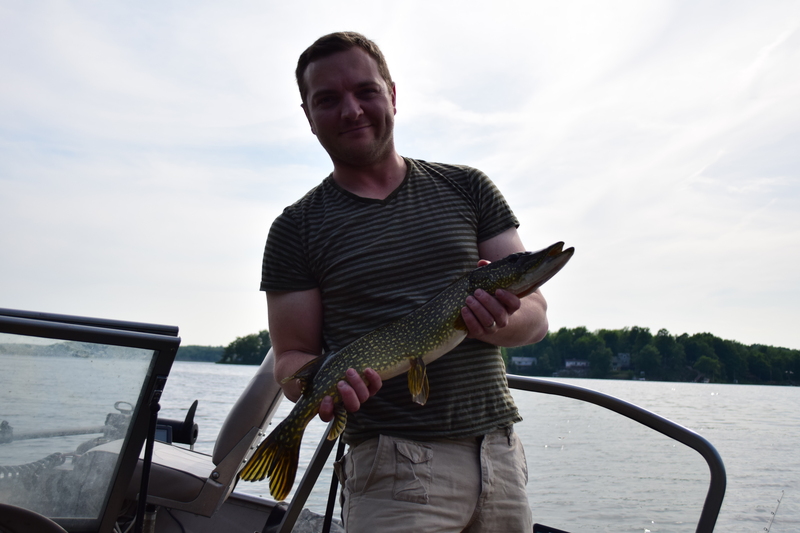 Many of the pike were caught in the 10 FOW range although the bigger beasts seemed to be a bit deeper. We worked this method all the way up an edge of the lake unitl a natural pinch point and cut across to a flat weedy bay. The bays are typically where I would start at the beginning of the season followed by troll lines along drop offs closer to summer but we were so anxious this time around we couldn’t wait. We pitched around in the flat bay with crank baits, angled spinners and inline buck-tail spinners with a decent success rate. The action was good on the cast and the troll so we continued to meander around the lake using both tactics. 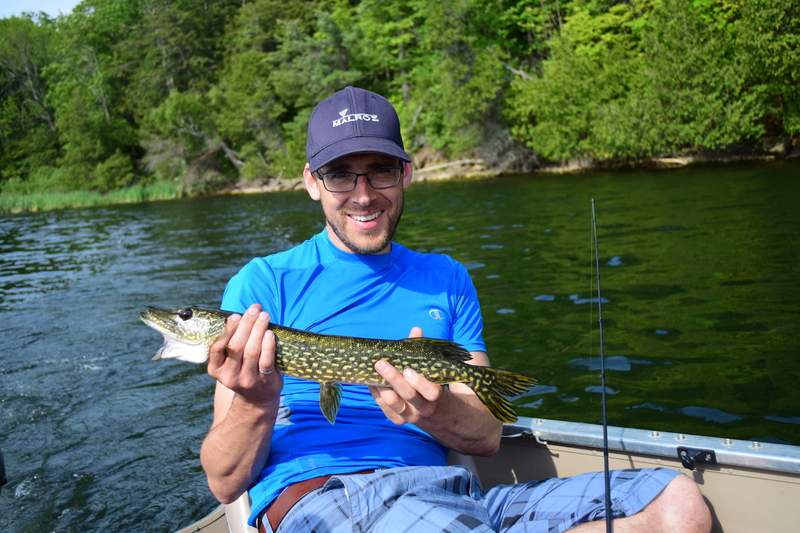 The great thing about Collins is that it is such a eutrophic lake, you can pretty much catch pike anywhere in the lake. I admit there are hot spots like around the lake edges and basin rims, but really there is forage and weeds everywhere so long drift lines or troll lines through open sections can also pay off. 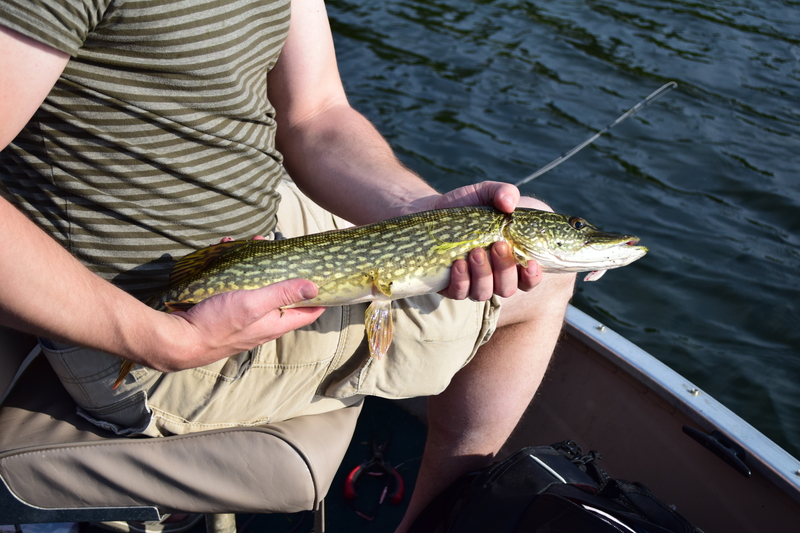 All in all, a good, albeit late, start to my pike fishing season. Once again Collins you didn’t disappoint! 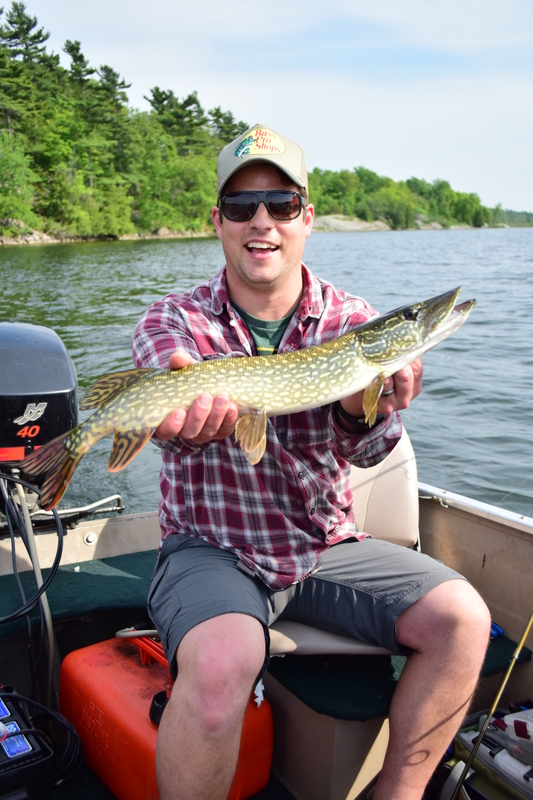 This entry was posted in Fishing and tagged Collins Lake, fishing in southern ontario, Get Outside, Pike Fishing, Pike fishing in southern ontario, pike fishing on Collins, the wilds of ontario, where to fish in Ontario, wild ontario. Bookmark the permalink.